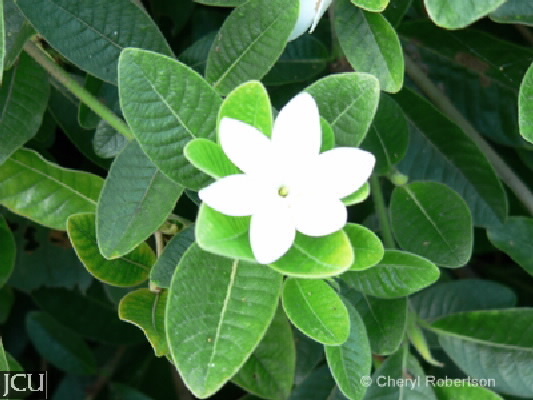 This native gardenia forms an attractive small shrub. Young stems are triangular and rough to touch, leaves are in whorls of 3, the stipules are fused around the stem. Flowers to 5 cm diameter, fragrant; petals with white overlapping lobes, corolla tube narrow and the stamens are enclosed in the tube. The fruit is ovoid to about 4 cm long.